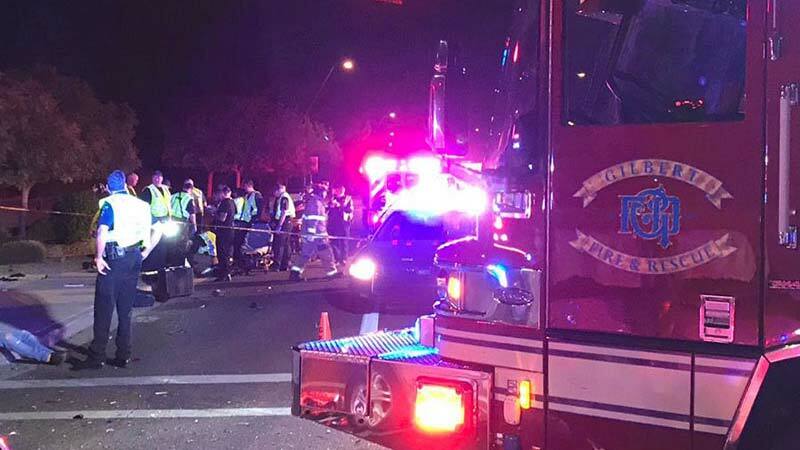 Gilbert, Arizona—Gilbert Police and Fire Department emergency responders reported at least six people were transported to nearby hospitals Tuesday night following a major car accident at the intersection of Greenfield and Elliot roads. Reports do not indicate the number of vehicles involved in the crash. Accident investigators have not released the identities of those involved as their investigation continues. We wish speedy recoveries for all those who were injured.